More Apps Elevated Software Development, Inc.
Is there a better alternative to fScanX? Is fScanX really the best app in Scanners category? Will fScanX work good on macOS 10.13.4? fScanX provides Mac OS X support for the Fujitsu fi-7160, fi-7260, fi-7180, fi-7280, fi-5530C2, fi-4340C, fi-6670, fi-6770, fi-6800 and fi-5950 sheetfed scanners. 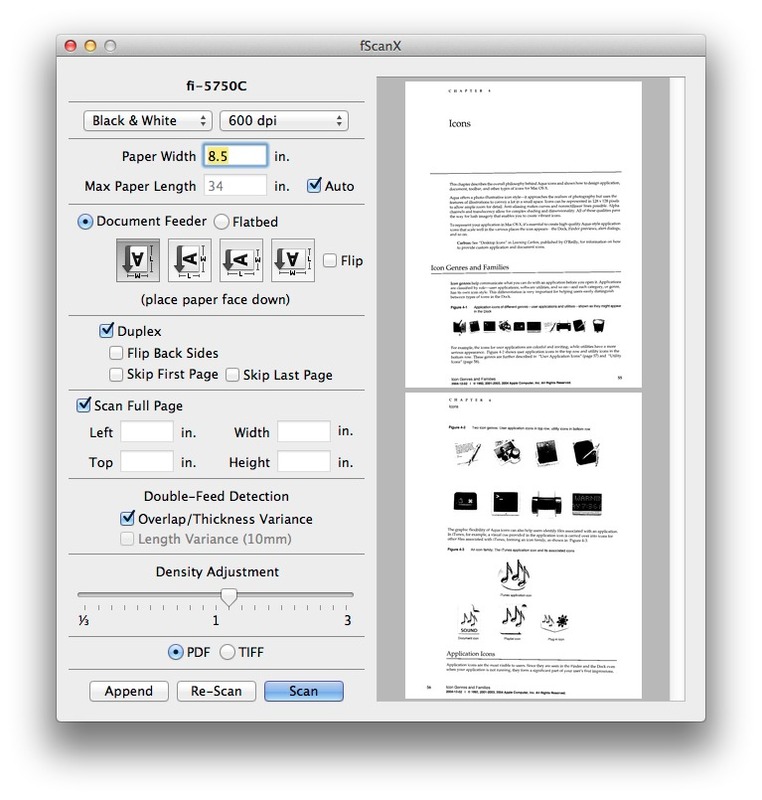 Throughput is up to 135 pages per minute, with output to multi-page TIFF or PDF files. The package includes a stand-alone scanning application, an Automator action for easy creation of scanning workflows, and a command-line utility for use in developing automated solutions with any development environment. Pricing begins at $149 USD for the fi-7160, and is different for each model of scanner supported. Slight reduction in memory used. fScanX needs a rating. Be the first to rate this app and get the discussion started! Pricing begins at $149 USD for the fi-7160, and is different for each model of scanner supported. See pricing here.